KARACHI: Major setback for Muttahida Qaumi Movement-Pakistan (MQM-P) as two of its top leaders parted ways and resigned from their party membership on Wednesday. Muzammil Qureshi, a Member of National Assembly (MNA), and former MPA Shabbir Ahmed Qaimkhani parted ways with MQM-P to shake hands with Mustafa Kamal. He has joined the rival Pak Sarzameen Party (PSP). The announcement was made by PSP President Anis Kaimkahni during a press conference at Pakistan House. Speaking about his decision, Qureshi said he has joined PSP because there is no scandal or pressure within the party. “We need to form a way to resolve problems of Urdu-speaking community,” he added. He said he tried his best to unite the two factions of MQM-P but it seems impossible now. Qureshi was elected from NA-253 in 2013 general elections on MQM ticket. 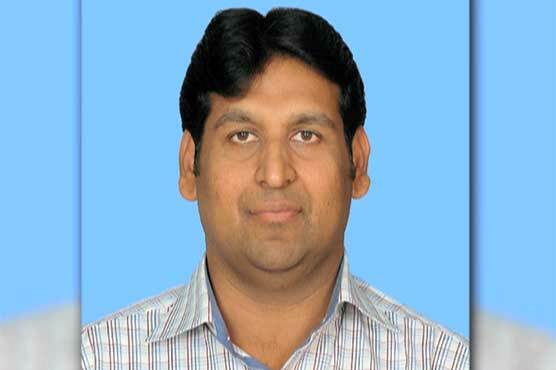 He also remained Member of Provincial Assembly (MPA) from 2008-2103. He was a member of MQM-P Farooq Sattar group. On April 1, serving lawmaker and leader of MQM-P joined PSP. Waseem Hussain, MQM-P Member of National Assembly (MNA), announced joining PSP in a press conference. During the press conference, PSP leader Anis Qaimkhani said that the party rejected the new delimitation of the constituencies. He also stated that next Sindh chief minister will be from their party. Earlier, on March 29, member of MQM-P joined Mustafa Kamal’s party. Dr Fauzia Hameed, Member of National Assembly (MNA), was elected as a candidate of MQM-P on a reserved seat for women from Sindh in general elections 2013. On March 28, two former members MQM-P joined former Karachi mayor’s political party. Naheed Begum, a Member of Provincial Assembly (MPA) of Sindh from constituency PSW-153 and Naila Munir, an MPA on the reserved seat for women from RSW-155, announced they are joining former Karachi mayor Mustafa Kamal’s party during a press conference in the metropolitan city.